The Minister of State (Health and Family Welfare), Sh Faggan Singh Kulaste in a written reply in the Rajya Sabha , updated the Parliament about the Specialized Palliative Care Units in the country. 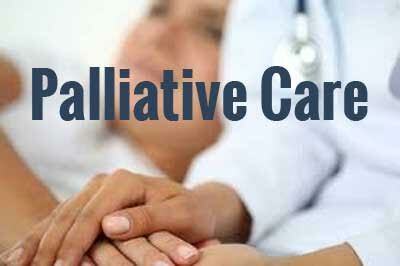 There is no state-wise/national data maintained under National Program for Palliative Care (NPPC) which suggest the number of specialized palliative care units established in India from 2010-2016 as the support under the Program to the States/UTs is primarily for establishing basic palliative care services at district hospitals. As per Medical Council of India’s Regulations on Graduate Medical Education, 1997 and Postgraduate Medical Education, 2000, no study on palliative care is included in the undergraduate and post-graduate curriculum. However, a course named “MD (Palliative Medicine)” is included in the Schedule of Postgraduate Medical Education Regulations, 2000. There are several attempts by Private Players in Palliative Care. It is better that the Govt takes a stock of all their efforts in bringing Palliative Care to the door steps of ailing patients. In this regard Kerala and Karnataka have done pioneering work. Centers like Indian Society of Palliative Care, Nightingale Medical Trust, Karunya Trust, KMC Mangalore , Yenepoya University Mangalore and many others have done a lot of work.